Time to Learn from Europe on Housing? It’s only when you think of all the other things that we could be spending that money on—education, say, or technological or medical research—that the real cost of our addiction to housing becomes clear. 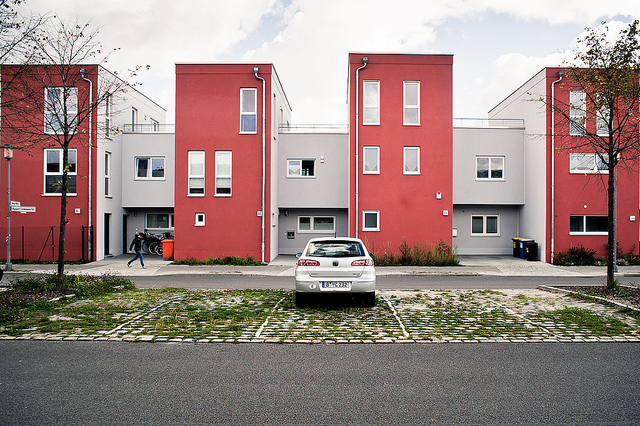 Meanwhile, Germany, a country with a fairly low homeownership rate, has decided to stop bellyaching about displacement in rapidly appreciating urban neighborhoods and do something about it. As CityLab writer Feargus O'Sullivan reports, they care about having mixed income neighborhoods and feel that displacement would be a loss to everyone. They already have rent stabilization, but there are loopholes for major renovations—so if an area is in danger of losing its economic mix due to to rising rents, cities have started designating them as zones where you can't do luxury upgrades like adding balconies or guest bathrooms. This is likely hard for property-rights steeped Americans to even imagine, but the point is that if there is a political will, there are policies to address displacement. And sometimes it helps to look to other places that don't have the baggage we do about what's possible.